A dainty little Goodyera with particularly attractive leaves. They start out a vivid green then mature to a deep green with red veins. A center silver stripe is over-laid with green veins. 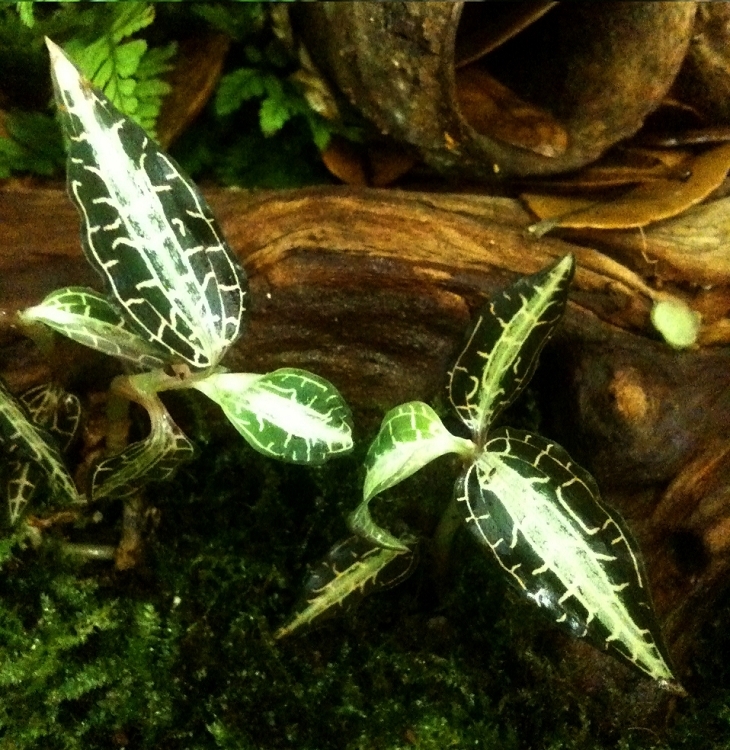 A MUST for the distinctive terrarium. Low light, high humidity and consistent moisture will suit it well. Available plants are approximately 1"-2" across growing in 1.5" pots.